Mr. Reed is a writer, actor, director, producer and teacher. He has worked on more that 100 plays, commercials and films. As an actor, favorite roles include Jake in Tennessee William's Twenty-Seven Wagons Full of Cotton (which toured in the former Soviet Union and included a stint in the legendary Moscow Arts Theatre). Also as James Tyrone in Long Days Journey Into Night, which toured the U.S. and Canada. He has portrayed Sir Toby Belch in Twelfth Night, and Tony Pattucci in They Knew What They Wanted, at the Stanford Center for the Arts. Mr. Reed has performed with Austin Pendelton (currently Artistic Director of the Circle Repertory Company), Janet Hayes Walker (The York Theatre Company), Linda Chapman (The New York Theatre Workshop), Tom Brennan (at the Whole Theatre) and Andrew Tsao (at the Pan Asian Repertory Theatre). Founder and Artistic Director of The Actors Corner (an Off Broadway theatre company) where, over a period of two years he produced and/or directed eight productions, including the work of Harold Pinter (The Dumb Waiter), Joe Orton (Funeral Games), Leonard Melfi (Birdbath & Fairy Boat), Bob Somerfeld (You've Changed & The Late, Late, Late, Late, Late Show), and Joseph George Caruso (Bach is Only on Sundays). Independently, Mr. Reed produced and directed The Final Commitment by Rose Sher, The Elevator by Ora Julie and Lysistrata by Aristophanes, at The Riverside Shakespeare Company and The Arts Club Theatre. A New Englander by birth, Mr. Reed has directed numerous plays at the Main stage in Lebanon, New Hampshire. He takes great pride in having instituted a drama curriculum for that town's high school, where he taught before coming to New York City. Ms. Kofod is a writer, producer and production manager. She works in multiple medias, with speciality in interactive web sites, theatre and video. 1-888-For-Flowers, a web-based national florist consortium. WNYW, Fox Television Stations, Inc., the flagship owned and operated television station of the Fox Television network. Past President and Director of Sponsor Relations of the New York Chapter of the Media Communications Association International (MCA-I). Formerly the International Television Association, MCA-I is the largest trade association of non-broadcast electronic media professionals in the world. Marketing Consultant and Special Events Coordinator for Basciano & Associates, Inc., a public relations/marketing firm specializing in international clients, art-related clients, political and non-profit fund raising. Fund raising and management consultant to the Workhouse Theater, an Off-Broadway repertory theatre company. Associate Producer and Director of Events for The National Improvisational Theatre, an Off-Broadway theatre company. Administrative Director for the Meat & Potatoes Company, an Off-Off-Broadway theatre company. Production Manager for the Robin Hood, Prince of Thieves stunt show, a tie-in to the Kevin Cosner feature film, produced by Time Warner for the Great Adventure theme parks. 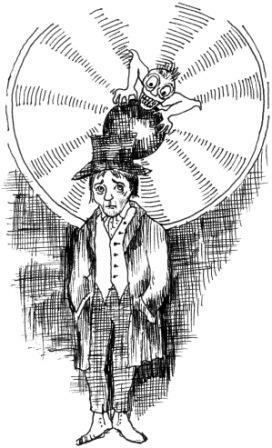 Mr. Dickens was a writer, playwrite, performer and champion of the poor and down-trodden. Born in Landport, Hampshire England in 1812, he is considered to be one of the greatest English novelists of the Victorian period. Dickens's works are characterized by attacks on social evils, injustice, and hypocrisy. Mr. Johnson is a musical director, arranger and award-winning composer. He composed the scores to several popular musicals at Wings Theatre (Cowboys!, Tango Masculino, The Three Musketeers and Nile Blue). He has composed a over twenty shows, numerous songs for cabaret and has several more musical projects in the making. Most recently, Mr. Johnson scored and co-wrote a musical adaptation of As You Like It for Vital Children's Theater. In the last 22 years, Mr. Johnson has musical directed more than 120 shows Off-Broadway, off-Off-Broadway and regionally; his credits include She Loves Me, Gigi, and Side By Side By Sondheim. He received OOBR Awards for Tango Masculino and Cowboys!. His and Hector Coris'popular debut show Not Me garnered a 2004 MAC Award nomination for Outstanding Special Material. Contact us by email at info@the-Chimes.com. Copyright 1992, 1995 and 2006, Lisa Kofod and Gay Reed. All rights reserved.